1. 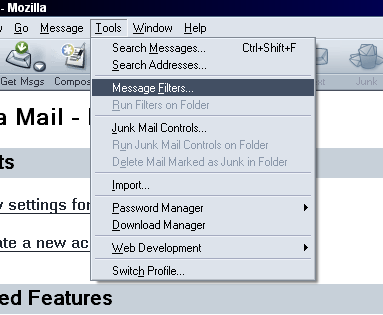 From the opening screen of Netscape/Mozilla Mail, click on the Tools pull down menu, and then go to Message Filters. 3. For the name of the rule type Spam, put a dot next to Match Any of the Following, and select Subject and Contains from the drop down menus. 4. 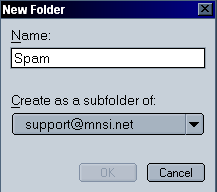 In the box next to Contains type in [Possible Spam]. Under Perform these actions put a check next to Move to folder and then click on New Folder. 5. 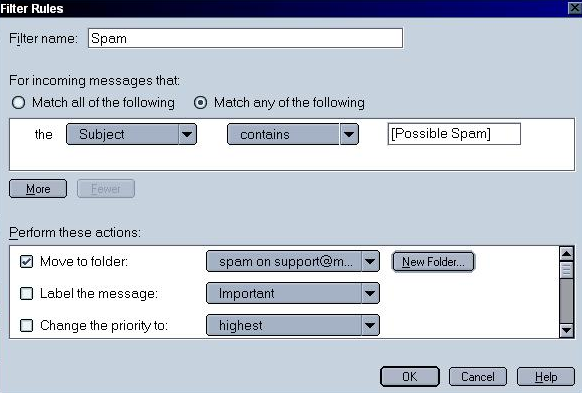 Type in Spam as the name of the folder and click on Ok.
6. 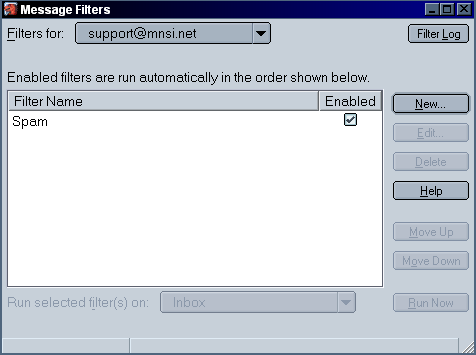 You should now be back at the Mail Filters screen. 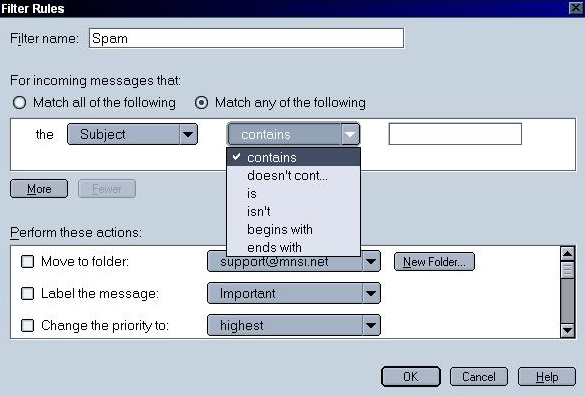 Make sure your new spam filter is enabled, close the Mail Filters window and enjoy your new spam filter! 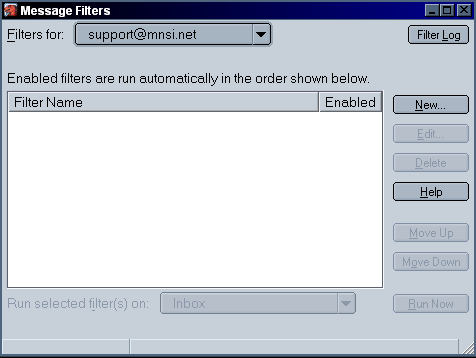 Mozilla users may also want to use Mozilla's own built in spam filter. For instructions on doing so, please see the Mozilla Spam Filtering Page for more details.